This week, we bring for our readers the words from a wonderful and inspiring woman: J. K. Rowling. This is a fragment of her 2008 Harvard commencement speech, where she explains how our own idea of failure affects our ability to see the hidden opportunities in every circumstance. For her, failure is necessary to grow and to truly know ourselves… it is the consequence of living bravely. This speech is also about imagination, about stepping out of our comfort zone to set our true selves free. Her wise words are still relevant after 10 years. Dare to live fully, to use the power of your imagination and be courageous. 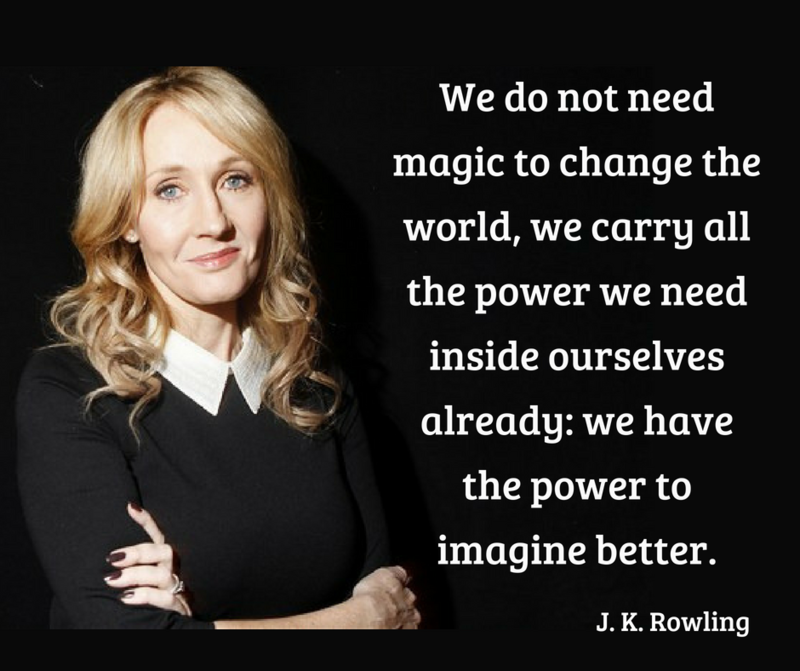 Remember, “We have the power to imagine better”. “Unlike any other creature on this planet, humans can learn and understand, without having experienced. They can think themselves into other people’s places. Of course, this is a power, like my brand of fictional magic, that is morally neutral. One might use such an ability to manipulate, or control, just as much as to understand or sympathise.